The idea of cloth is so much more dangerous then a blank canvas. There are no undos, painting over, or retakes: you only have one shot with the prick of a needle. 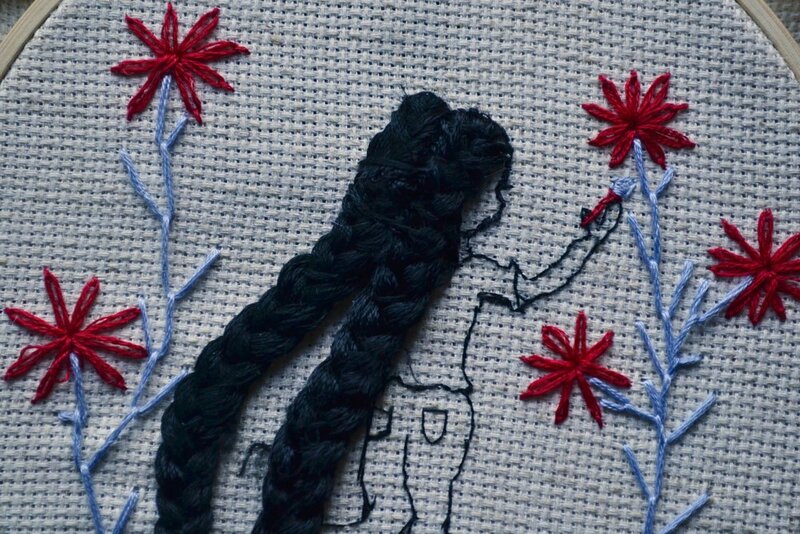 The dark threads of the braids contrast with the flirty red of the flowers, which bounce off the verdant stems of lavender. The painting girl’s regal touch can be seen through the fluidity of her stance, dripping with braids. To wrap it all together, the cascading hair flows through the piece as a centerpiece for the onlookers delight.